Michaels will still do Sunday night games with Cris Collinsworth as analyst. 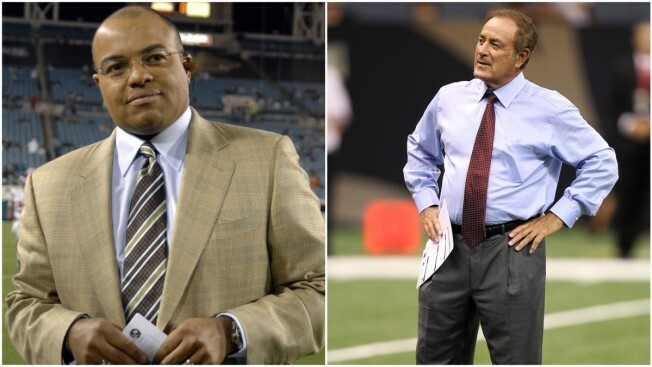 Mike Tirico is replacing Al Michaels as the play-by-play announcer for Thursday night games this season. The NFL needed to approve the switch because its contract with the network calls for the top broadcast team to do Thursday games. NBC has those games from Nov. 9 through the end of the year after CBS handles the first portion of the schedule. "Although there have been a number of changes in the network's broadcast booths over the past couple of seasons, our priority, and the priority of our network partners remains the same: produce a high quality, engaging broadcast that our fans love whether its Thursday, Sunday or Monday," the league said in a statement. " For TNF, we get that with Mike Tirico, a terrific broadcaster, and Cris Collinsworth at NBC, and the new team of Jim Nantz and Tony Romo at CBS." Michaels will still do Sunday night games with Cris Collinsworth as analyst. Collinsworth will continue double duty on the Thursday and Sunday night matchups. Tirico joined NBC last year from ESPN, where he handled Monday night football play by play.